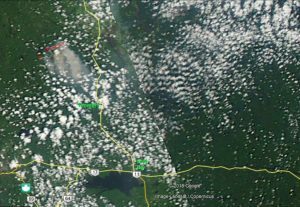 7/11 MODIS Aqua pass over Temagami. 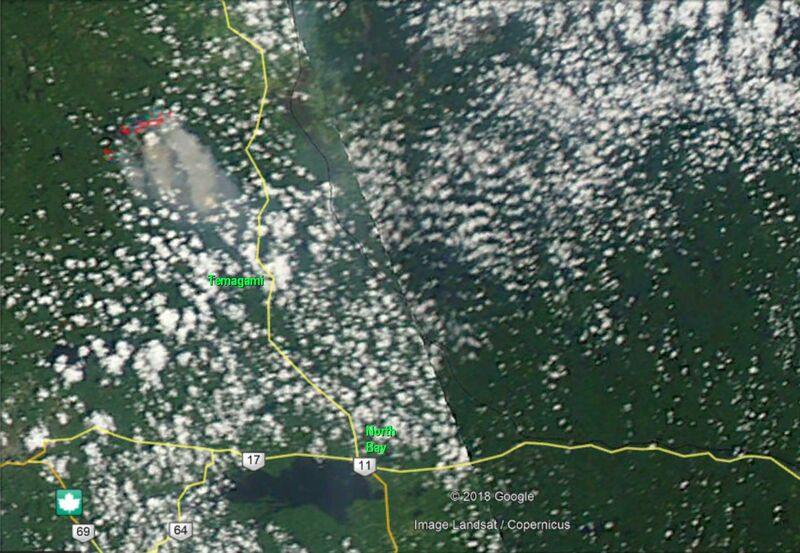 Satellite fire detector sees large fires north & west of the lake (red blocks). Cloud cover obscures the lake. Route 11/17 in yellow.